BT Sport will remain as the exclusive live broadcaster of the MotoGP world championship in the U.K. and Ireland until at least the end of the 2021season, after announcing a three-year extension to their deal with series organisers Dorna today. Promising greater coverage than ever as they finally ended months of speculation about where the coverage would end up wen their current contract ends this season, the channel will now produce a full live show on all three days of ever one of 19 Grand Prix weekends as well as a new Friday night highlights package. 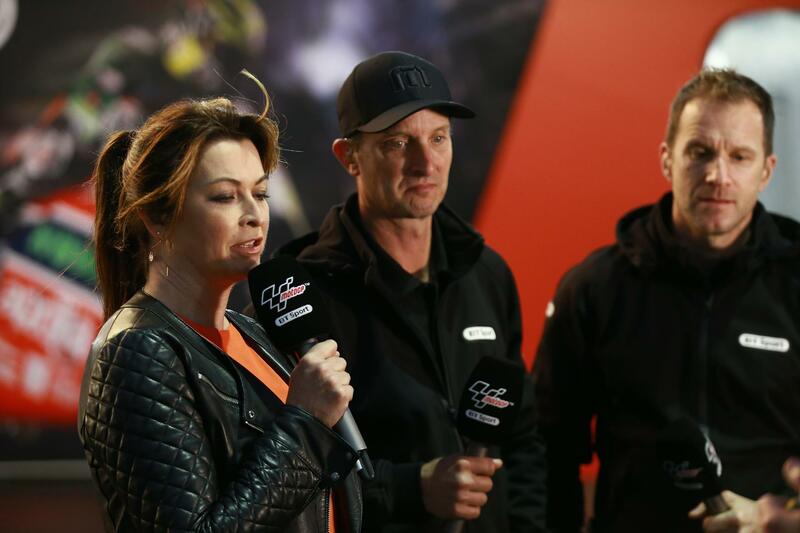 They’ll also be joined by British Superbike racer Michael Laverty as a new expert analyst, helping to deliver their coverage of the new British Talent Cup from the BSB paddock as well as attending six races to help with their live coverage. However, there’ll be no new addition to the team to replace the retiring Julian Ryder, with 2003 world champion Neill Hodgson instead stepping up to take over commentary duties for MotoGP alongside Keith Heuwan. Manel Arroyo, Managing Director at Dorna Sports, commented: “We are delighted to have extended our agreement with BT Sport for another three years. During our current agreement with BT Sport, MotoGP™ fans in the UK and Ireland have been treated to live coverage of all sessions of all Grands Prix on the BT Sport channels, with a fantastic team of presenters onsite to bring all the behind the scenes news and action from the paddock. UK MotoGP TV rights: To BT, or not to BT?